Make the most of your holiday in this area of relaxation ! 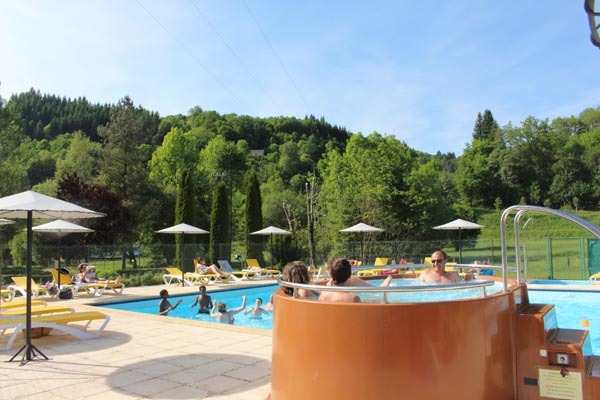 The Ludi Spa (bubble bath and Jacuzzi) and the pool are heated up to 27°C. It features 14 parasols and 50 very comfortable deckchairs to read, nap or just laze about ! 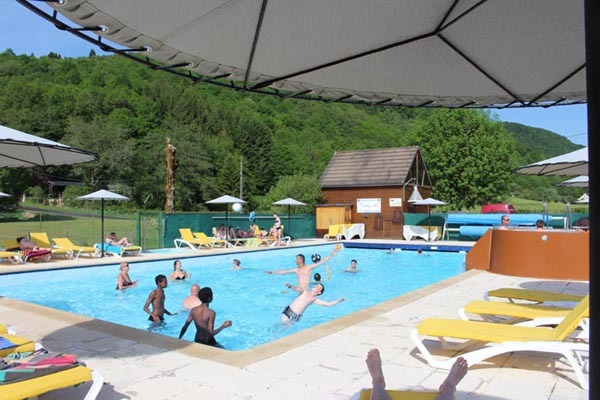 The pool of the Moulin de Serre is very large in relation with the number of pitches; it is certainly by far one of the loveliest campsite pools of Puy-de-Dôme in Auvergne. 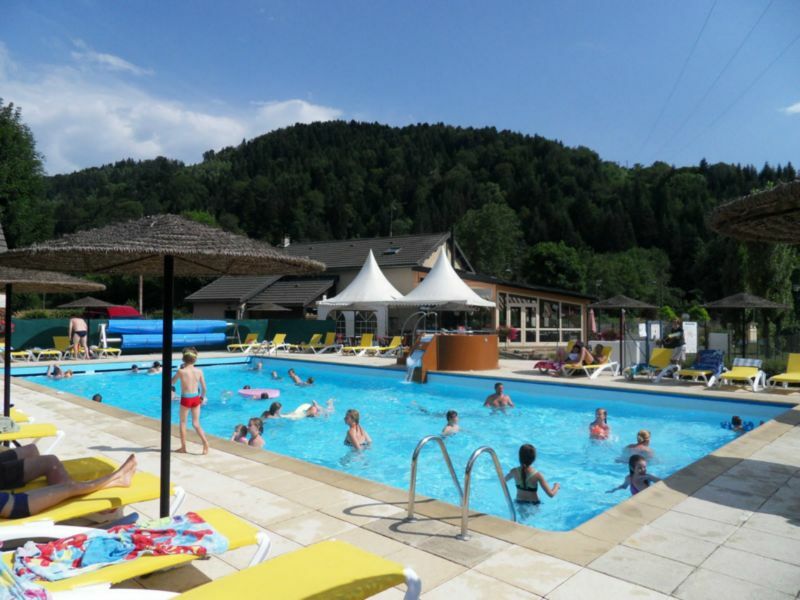 It is 18 meters long x 9 meters wide, 85cm to 2.10 meters deep and has a surface of 162 m², ideal for large families: games, lane swimming; the Jacuzzi has a capacity of 8 people, kids are admitted provided they are with a parent. The pool is exclusively reserved to campsite customers. It is open from 10.00 am to 08.00 pm in July and August, and from 10.30 am to 07.00 pm in May, June and September. It can, exceptionally, be closed in case of poor weather conditions in the Puy-de-Dôme. Opening dates: from 25th May to 08th September. Admission to the swimming pool and Jacuzzi is free. 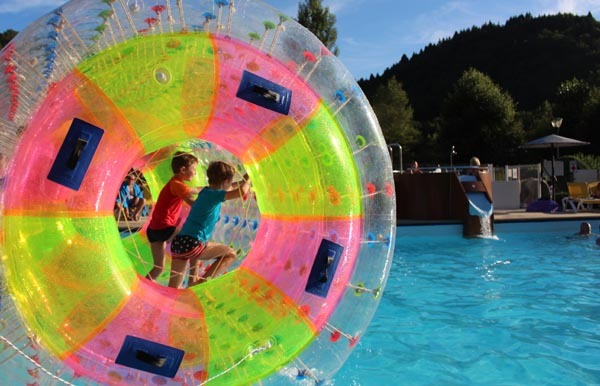 Advice : Do not forget to bring waterproof baby nappies, (baby shell pools are available on demand), inflatable armbands for the little ones who cannot swim yet, and swimsuit for the boys, because shorts are forbidden. Mountainbike Offer: Book one week and pay only 5 days !